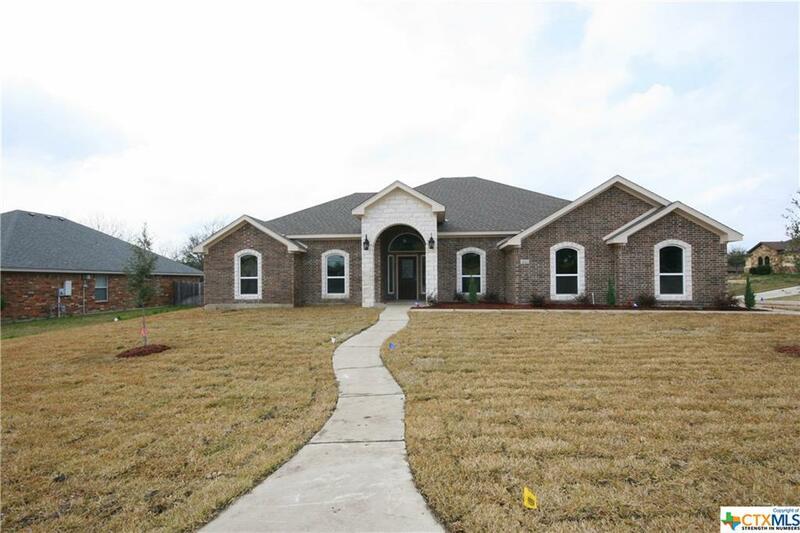 Price reduction by $4500 and window blinds in all rooms except bathroom frost window, and MATCHING STAINLESS STEEL REFRIGERATOR in this Another Custom beauty built by PARK QUALITY HOMES in huge corner lot on .27 acre with beautiful stone archways, estimated completion by 3/25/19. INSIDE IS COMPLETED AND READY TO MOVE IN & Sod and Tile at front and back entry and FENCE WILL BE INSTALLED BY 3/24/19. Executive entry with high ceiling with crown molding and wide entry, nice size of family room with that has WOOD floor, windows bring all natural daylights including the garage that has 2 energy saving windows. 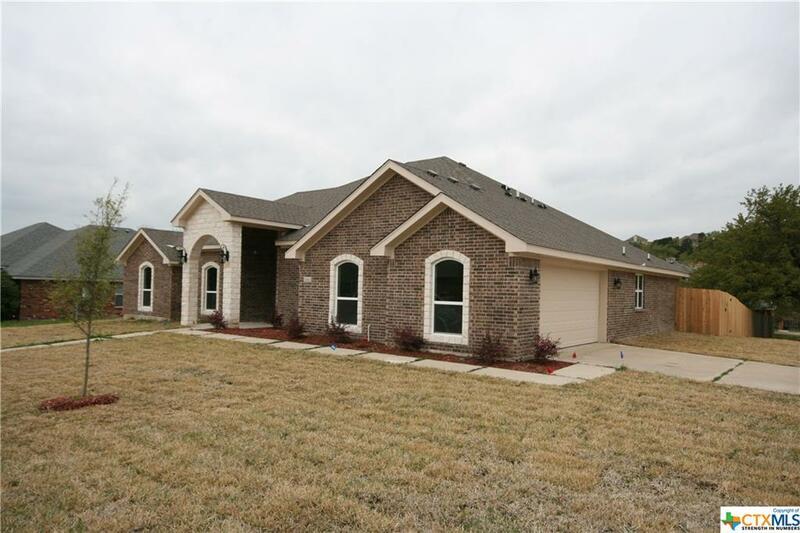 Master bedroom has a door to access to the covered patio that can be accessed through door in the family room, pop-up ceiling, the closet is very spacious, Master bathroom has 2 separate sinks, jetted tub, separate shower, closed stall for privacy. 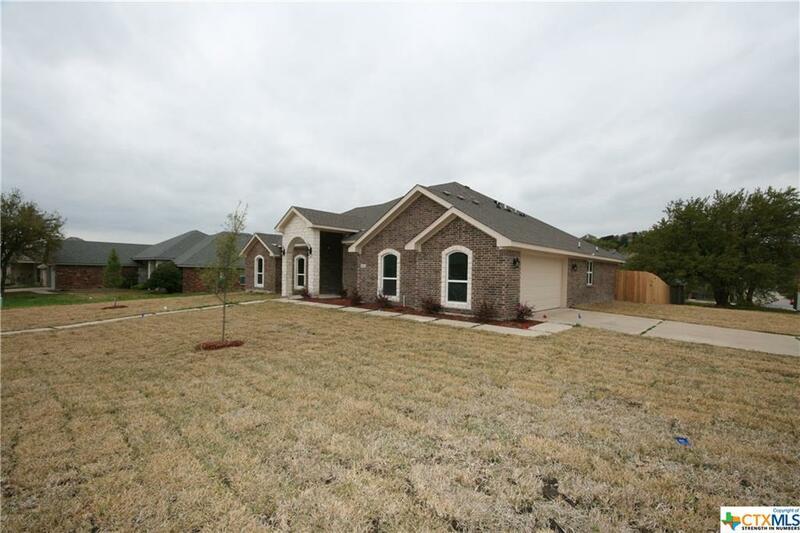 Kitchen has custom wood cabinet, stainless steel appliances, granite counter tops, food pantry, breakfast bar, eat-in kitchen & formal dining,EXTERIOR VENT pulls odors out of the house while cooking. ALL ROOMS HAS A MATCHING CEILING FAN.Tiles in all wet area, carpet in bed rooms with wood in family room. 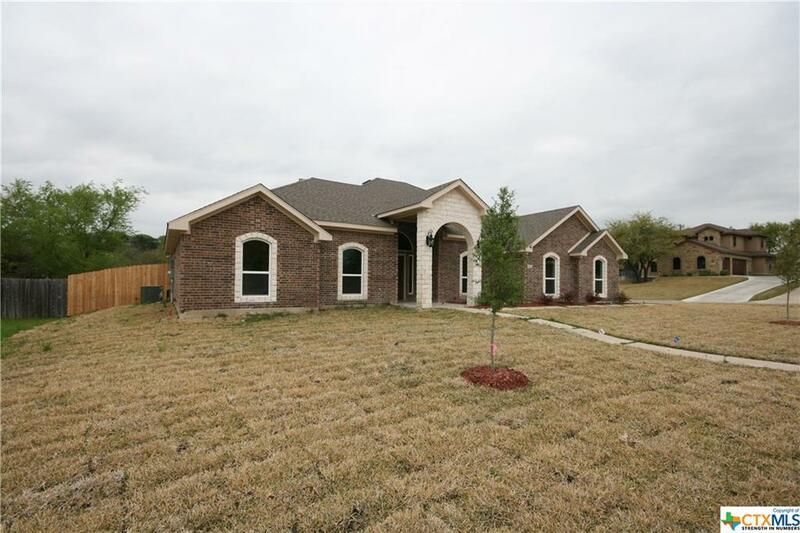 Listing courtesy of Suky Simms of Centex Sunshine Realty.